Schmitt, a 5-foot-8 left-hander with a truly amazing arm, was almost untouchable in the three years he pitched for Manual High School. Possessor of a blazing fast ball with great movement and a fine curve, Schmitt hit his prep peak in 1950 when he posted a 13-0 record on a Manual team that went 25-0, tossing a one-hitter and fanning 17 in the state championship game against LaGrange. In his final prep season his statistics were astounding: 162 strikeouts, just 23 hits allowed, five runs allowed and only 25 walks in 80 innings. Signed by the St. Louis Browns shortly after leaving high school (he later was property of the Baltimore Orioles after the move of the Browns east), he pitched seven seasons of minor league baseball. Starting with Wichita Falls of the Class B Big State League in 1951, he pitched in the Three-I League, the Western League, the Texas League, the Pacific Coast League, the Sally League and the Eastern League. 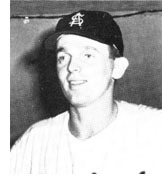 After the 1957 season, he retired from pro ball and went into coaching, leading Limestone into a state tournament and also pitching for a dozen more seasons in the Sunday Morning League. He is still on the faculty at Limestone High School and has been assistant baseball coach since suffering a stroke a few years ago. Tim Broe came out of East Peoria High School to become perhaps the most successful long-distance runner in local prep circles. When he won the 3200 meter event in the Class AA state track meet last spring he completed a track-cross country sweep that is unparalleled in local high school history. 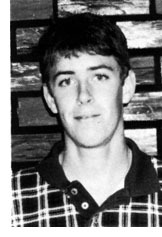 He started his streak by winning the 1993 state Class AA cross country title at Detweiller Park, won his first state 3200 event in the spring of 1994 and returned to again win the Class AA cross country title in 1994. Along the way to his four state championship medals, Broe, coached by long-time East Peoria coach Ed McGraw, won several Mid-Illini conference titles in cross country and track as well as winning seven regional and sectional championships. Broe is currently on track scholarship at the University of Alabama. He finished his cross country season as the No. 2 team for the Tide and will run the 5000 meters in the spring.